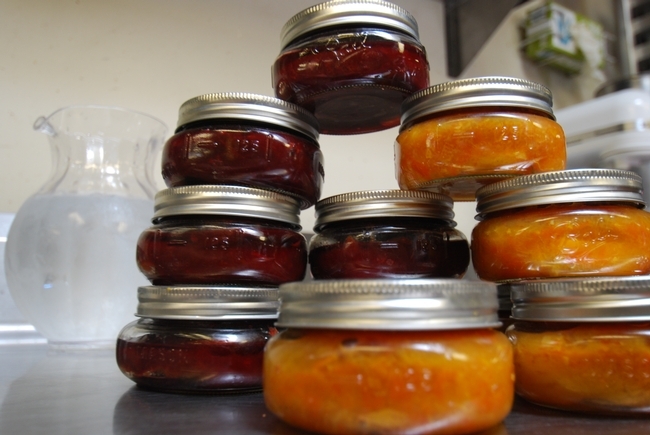 It's that time of year when all the Master Food Preservers get marmalade fever. It is a banner year for citrus here in Southern California and getting sweeter every week. 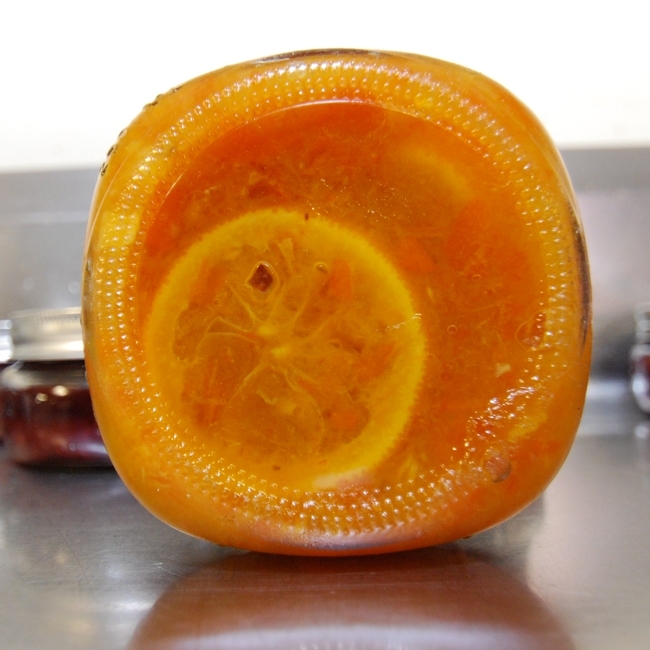 Look for Sevilles and bergamot oranges if you want a clear marmalade. The picture to the left is a Valencia orange marmalade - cloudy but delicious. 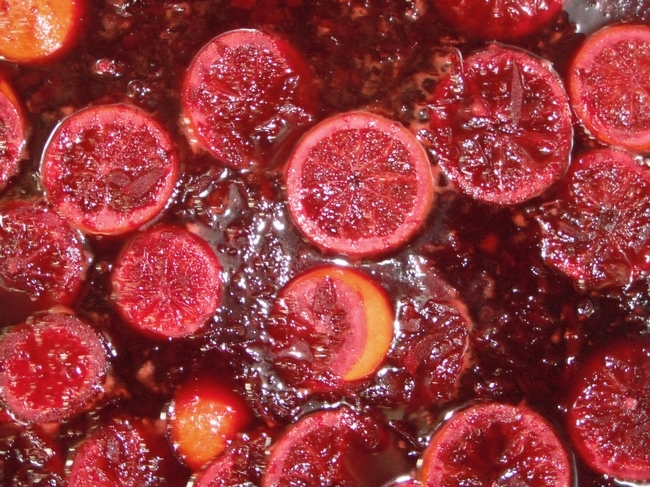 This is a blood orage marmalade. I heard Chef Ernie talking about adding a little baking soda in the pot to soften the rinds. Marmalade is a great group project with all the peeling and de-seeding and grating that needs to be done. We did this batch over 2 days (I like to let the flavors blend overnight) and with 4 friends, or was it 6, the kitchen was bustling. It's time to make some more!